When trying to create a fun and exciting website, it’s not a bad idea to look for options with lots of colors. 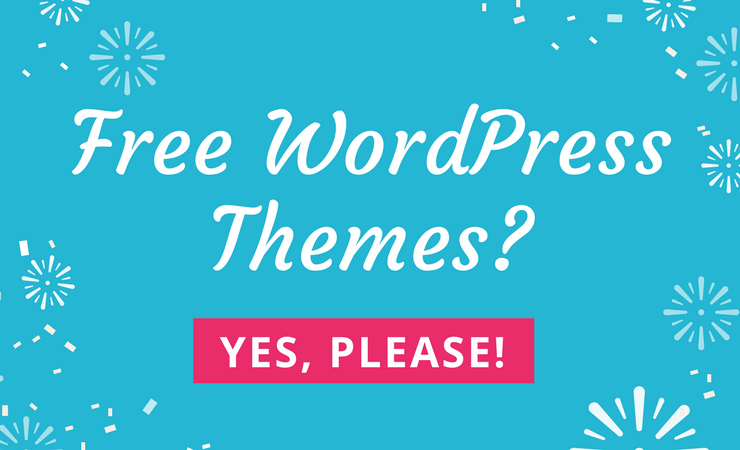 Whether you’re generating a site for kids, creatives or a business website that you’d like to seem more playful, you have plenty of options to choose from in terms of colorful WordPress themes. Well, we’re only considering templates with bright colors included by default. These are the ones that look fun and inspiring right out of the box. This way, you can adjust the colors if you want later, but the primary theme lets off a certain amount of playfulness without many changes. From reds to blues and greens to yellows, the more colorful themes don’t even have to seem unprofessional. We particularly enjoy some of the themes below for bloggers with certain topics they cover on their sites. For example, a few of the themes are more suitable for feminine bloggers, considering they offer pinks, whites, and purples. Others include darker colors, with modern touches. Regardless of the colors that match your branding, you’ll always have the ability to shift things around if needed. For example, sometimes companies or blogs modify branding strategies down the road. Therefore, you can rest easy knowing that the CSS customization tools are generally still available for scaling up and adapting to what comes in the future. 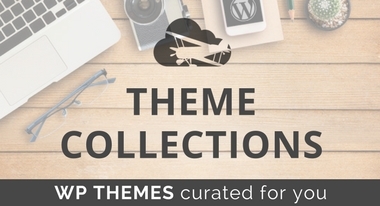 Many of the themes listed below also include stock images, adding to the colorful nature of the themes. Overall, you shouldn’t have to get stuck with poor customer service, non-responsive designs or iffy coding. 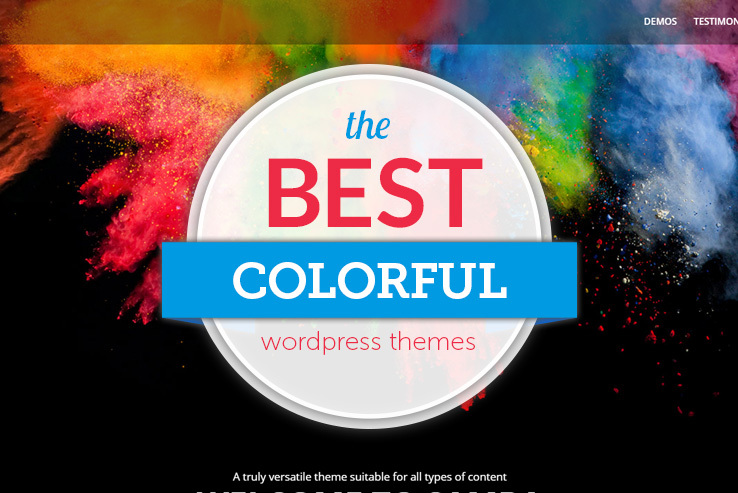 So, all of the colorful WordPress themes compiled in this list are great with customer service, have mobile responsive designs and the coding is ready to work with just about any plugin. This way, you won’t end up implementing a theme and ten months later realize that you’ve made a huge mistake. Feel free to bookmark this page if you plan on making colorful sites in the future, and consider utilizing more fun themes if you’re a developer with clients. 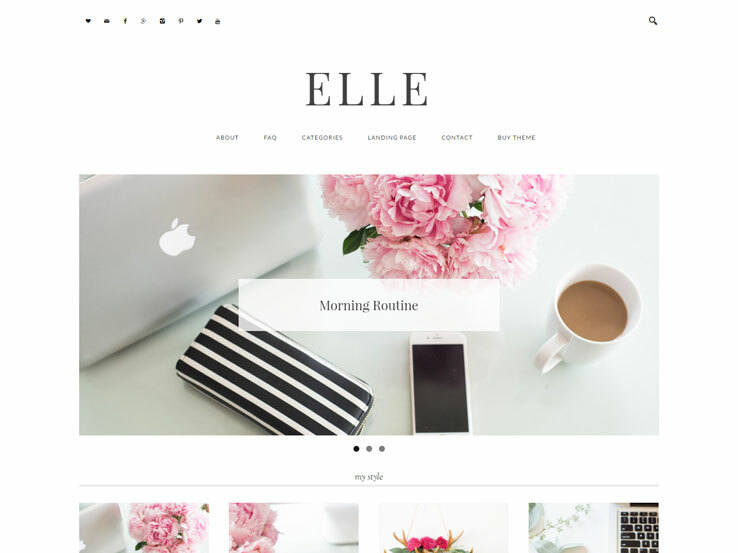 The Elle WordPress theme would fall into the feminine WordPress theme category as well, but it includes a wide array of pretty colors for bloggers and businesses alike. 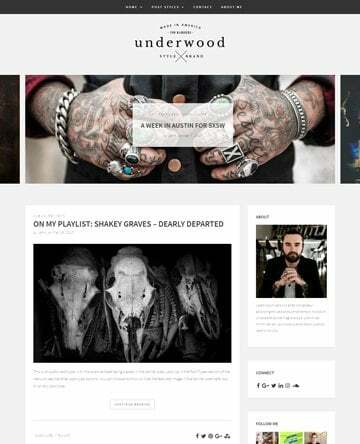 This is a responsive and stylish WordPress theme, with tons of white space to keep most of the attention on your content. Social media buttons are provided towards the top of the page, improving your chances of getting people to follow you on places like Facebook and Twitter. The logo goes in the middle of the header and the navigation menu is located right below that. Users can even search your website if they have a particular article they’re interested in viewing. A large slider is one of the highlights of the Elle theme. It provides some wonderful colors in the stock images, but we recommend you go along with this trend when uploading your own photos. The slider supports several photos, and they can be high-resolution for the ultimate look and feel. We like it for linking to recent blog posts since it’s generally the first module people see when they land on your website. A portfolio-style grid resides underneath the slider, which is nice for featuring blog posts, services, portfolio items, and more. The theme also includes a large blog feed on the homepage, with featured images, titles, and descriptions to grab attention. Most of the homepage is actually using a white background, but this definitely makes the other colors pop when you insert bright images. Besides the blog, a sidebar is located on the right-hand side of the homepage, with plenty of space to insert various widgets. Create a widget with information about the website or place the social media buttons in the sidebar. Social media sharing buttons are included on all of your posts. A standout feature is the email subscription form. This not only looks great with the Elle theme, but it collects email addresses from people who would like to be updated on new blog posts. Show a gallery of your Instagram photos by using a sidebar widget. It’s pretty clear that the Elle theme has the tools and designs to make for a quality lifestyle, fashion or flower blog. What’s interesting is that the Instagram module can also fit in the bottom of the website, redirecting eyes when people get to the end of the website. Overall, the Elle theme has all the tools you need to make for a colorful, fun, and playful website. 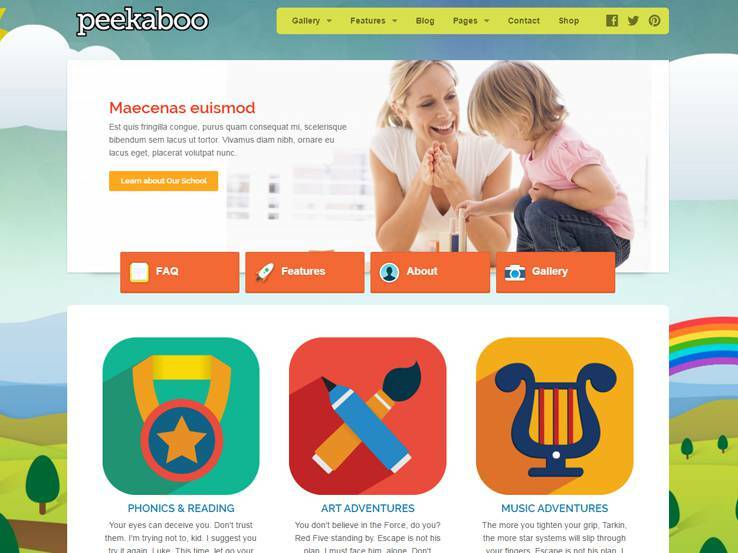 Consider the Peekaboo WordPress theme if you’re trying to make a website specifically targeted towards kids. This doesn’t mean that kids will be accessing your site, but it works well for companies that sell products for children. Therefore, the colors are playful and the theme also includes several icons and animations that fit the market. This is a completely responsive theme for those parents on the go and the theme options panel provides several shortcodes for customizing your site along the way. The translation ready files improve on how many people can access the site, while the auto updates ensure that you don’t have any security holes. The entire background is colorful and fun and the logo can be adjusted at any time. The slider includes overlaying items such as buttons and text and you can place buttons for redirecting to multiple pages. Video and image support is rather strong and the majority of the homepage is constructed to direct visitors to other places with images and links. For example, you may have a children’s learning course that can be linked to with a creative image. Social media buttons come with the package and you can feature testimonials to show other parents that your business is worth working with. What’s more is that you gain access to unlimited color schemes, giving you plenty of opportunities for branding and adjusting the default colors that come with the theme. 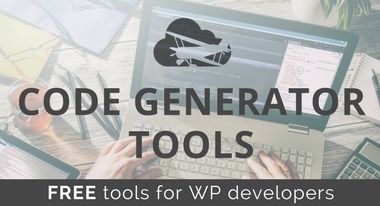 Several shortcodes enable you to work like a pro since you don’t ever have to really touch a line of source code. However, your site is still going to look professional. All of your images are shown off in a beautiful shadowbox style, which is essential since most children’s sites are going to need lots of support for high-resolution imagery. 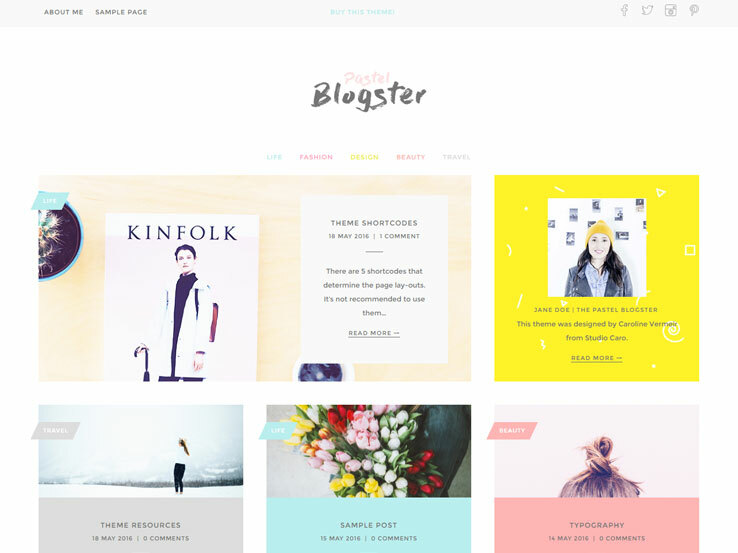 The Pastel Blogster theme can be customized to use any color palette but it is especially designed for the soft and comforting look of pastels. The modular layout keeps pages uncluttered to maintain the Zen feel of the theme and, with easy to use shortcodes, is a snap to set up. An ad widget is included at the bottom of the page with an optional widget zone for additional ads to help keep your company in the black. Prominent but muted social media icons will keep you connected to fans without breaking up the calming effect of your page. This theme was built on Bootstrap and Sage for the highest in design quality. The designer also included lots of helpful hints for how to best use the design elements while still maintaining the layout. Among the best of these elements is the ability to change widget colors with every post so your visitors never get bored. 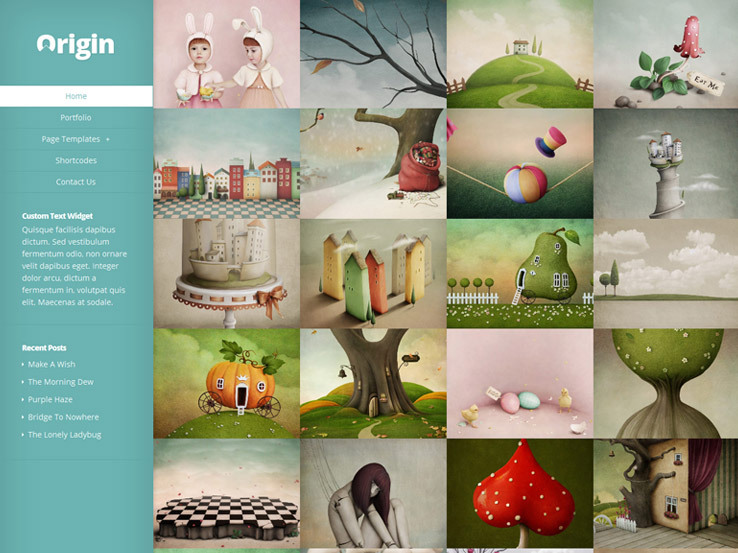 The Origin theme is perfect for artists looking to introduce their work to the world. The homepage has a grid-based layout that displays numerous pictures without text cluttering things up. When you click on a picture, it takes you to a new page where you can talk more about the inspiration for the work, what media you used, etc. 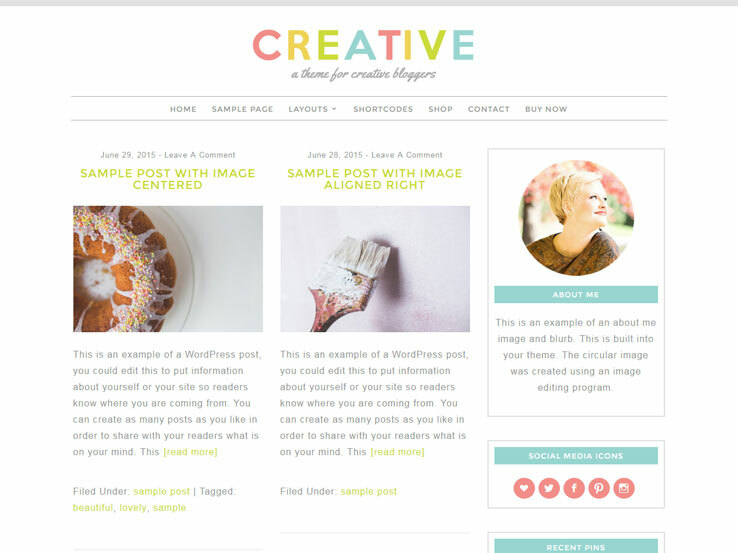 This layout is also great for regular blog posts; the grid photos are simply the headers for the posts. This theme also comes with unlimited color options to best set off your art or fit your personality. Setup is easy with ePanel which integrates with the WordPress Dashboard. You can make all your changes through this tool from changing colors to managing advertisements. The multitude of shortcodes also make design a breeze with options for buttons, content boxes, column layouts and more. For extra security, you can password protect certain content so it’s only available to members. And you can rest assured that your site will always be up and running with automatic updates to work with the latest versions of WordPress. 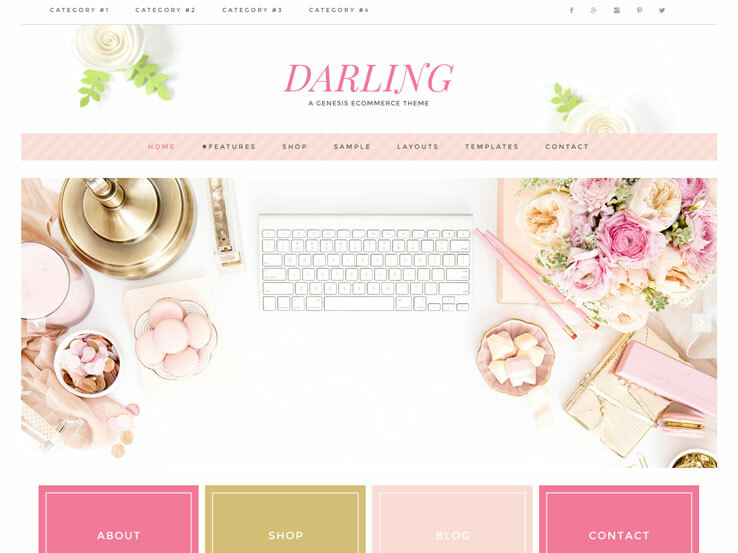 Versatility, thy name is Darling with this theme from Restored 316, a company specializing in traditionally feminine WordPress themes for women’s businesses and blogs. The demo features soft pink tones but you can easily customize the color scheme with the WordPress Customizer. 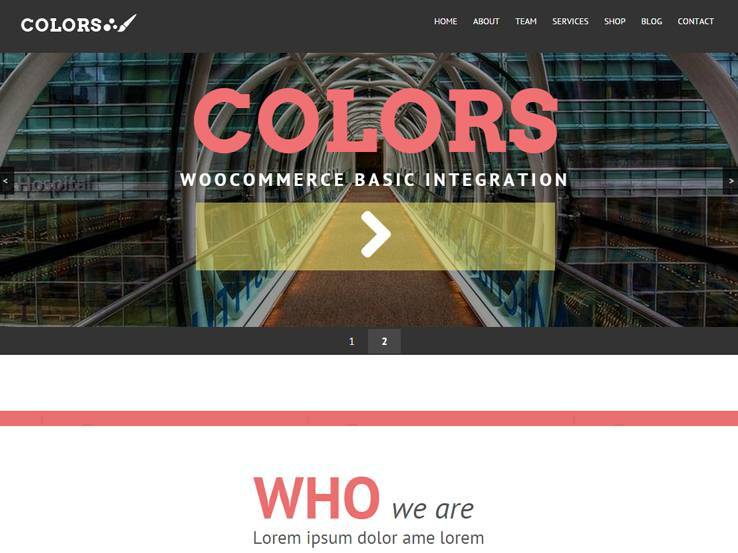 The choices of primary, accent, and highlight colors will ensure a beautiful and stylish look for your site. To further personalize the site, you can upload your own background as well as your retina ready logo. Your site will be perfect for your brand with three layout choices and post options for left, right, or center image alignment, lists, blockquotes, and tables. The widget area can adapt to between one and nine widgets to accommodate all the navigational categories you need. With a contact form from Ninja Forms, site visitors will always be able to reach you and, for the entrepreneurial woman, this theme is WooCommerce ready for selling your own products. 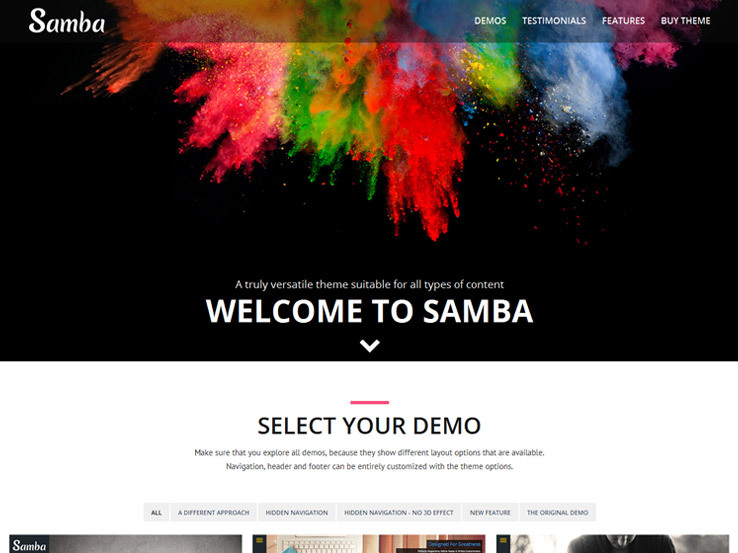 The Samba theme will provide you with fast uploads while also giving you lots of design options. With the optional Ajax Page Loading feature and Zurb Foundation Grid, load times will be fast and smooth, no matter what device you’re on. This means that site visitors will be able to check out all the great features you can add to your site that much faster. 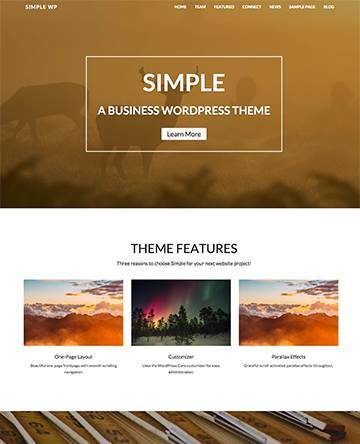 This theme comes with 48 design elements from Visual Composer, including Accordion, pricing tables and progress bar, an Options panel with 100 choices for colors, images and scripts, and more than 60 background patterns. The most outstanding feature of this theme is the number of options for showing off your portfolio. The Carousel display is especially stylish but the Grid, Masonry, and Video looks are also fantastic. If you want a cleaner presentation for your site, there is an option to use fewer colors. 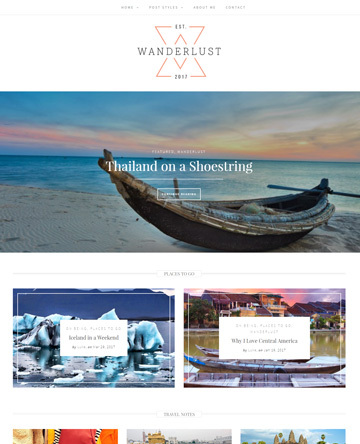 This theme is translation and WooCommerce ready to reach an international audience and make doing business simple. 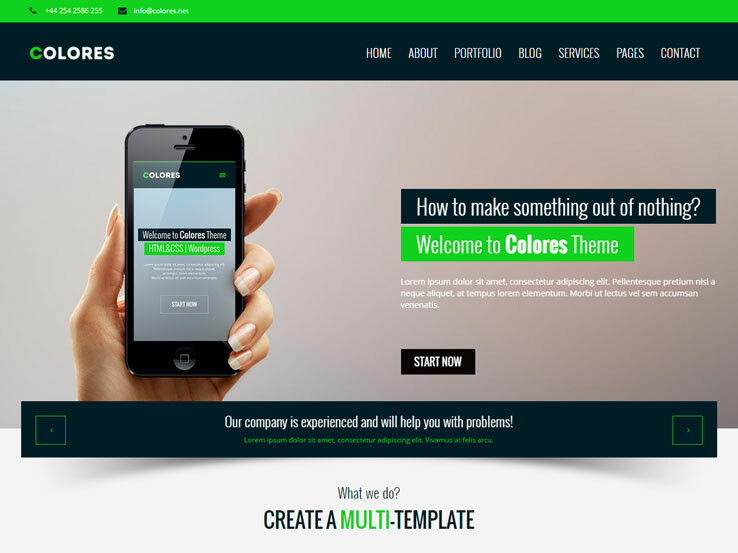 You can easily build an outstanding site for a wide variety of business types with the Colores theme. The video guide, simple demo installation, and excellent support will allow you to put your focus on making your organization the best it can be. This theme will be a great asset with a stylish block portfolio page and a retina ready system that will make your photos look fantastic. If you’re just starting out, Colores also comes with stock images to give your site punch while you build your business. Your site will look amazing with the unlimited color options, Parallax plugin, and endless patterns. The color blocks that designate informational areas, such as team members, testimonials, and widgets, give it an elegant feel and make navigation simple. Design will also be a snap with the multitude of shortcodes for all the design elements as well as for plugins like Accordion and Ajax. SEO and Translation ready, Colores will keep your site and your business easy to find and accessible to everyone. Your business will truly reach a new level with the Colors theme. 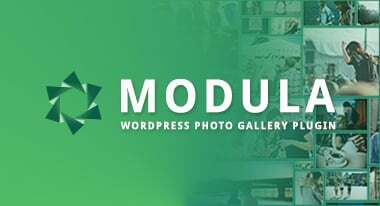 All your photos will be stunning on the Retina ready system and, when they leave customers wanting more, WooCommerce integration will let them easily buy your products. For a simpler set up, you can choose the one page layout which keeps all of your information on the homepage with neat sections to distinguish them. The striking buttons in the header simply scroll the reader down to the appropriate section, minimizing load times. If you need a more complex site, a great looking multipage layout is also available. Building a unique site is easy with the Options Framework to upload a background image or logo and the ability to customize every page section. The Parallax scrolling effect makes for an exciting viewing experience and the responsive design ensures that your site will look sharp on any device. Colors also understands that you need to keep your site dynamic – all shortcodes and post types are designed to retain your content if you change themes. The soft colors of the Creative theme are great for craft blogs or other traditionally feminine ventures. With 5 layout options, a large selection of Google fonts, and the option to add your own background image and logo, you can easily create a page to fit your personality And with excellent use of white space, all your images will pop on this theme. A sidebar for your most recent Pins is perfect for integrating with Pinterest; a separate sidebar includes social media widgets to connect with followers across all platforms. You will get the ultimate website experience with this Jetpack enabled theme. This free plugin provides cyber security, increases site traffic, accelerates load times, and gives you insight into your visitors. 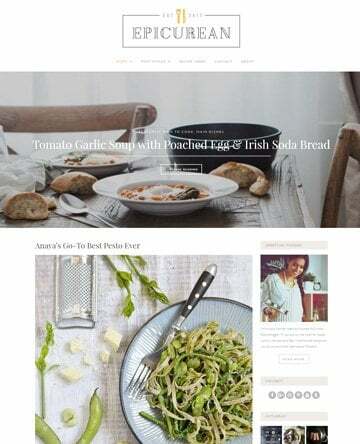 This theme is also WooCommerce ready to get you into the business world with style and Translation ready to ensure that your site is accessible to fans around the world. The Balance theme from Tink Tank is an excellent choice for a sleek, uncluttered look. The homepage, built on the Gridler theme, is an image grid with ample white space on the margins to keep the focus on your content. It also has little text, which gives it a very clean look. Grid boxes are links to individual posts, taking you to separate pages that are also unfussy. This theme has an overall soothing feel. Building your calm-inducing site is simple with a narrated instructional video that takes you through all the steps of customizing your color scheme, uploading images, and incorporating plugins. In addition to giving your site a sharp look, the Gridler theme is flexible to expand or shrink content to fit on any size device. Videos also resize themselves without a problem with the Fitvids jQuery plugin. The Audaz WordPress theme is marketed as a colorful option, with a responsive layout and creative portfolio items for showing off your past work. Google Fonts and Font Awesome icons improve on your branding, while the over 40 shortcodes are great for those who don’t have much development experience. One thing to keep in mind is that the Audaz theme comes with a solid drag and drop editor, boosting your ability to design with ease and cutting down on the amount of time you spend with your website. Unique animations are also included, which have shown to improve the creativity when combined with the multitude of colors. Quite a few plugins integrate with the Audaz theme. For example, you can create your own online store with the WooCommerce plugin. It doesn’t matter if you’re selling physical or digital products, because you’re always going to have a chance to post the products and collect money. Also, you can integrate with the Contact Form 7 plugin, which as most people know is the best solution for setting up a contact form to keep in touch with customers and readers. When you land on the Audaz theme, it’s pretty clear that lots of thought was put into the color. The default color is purple, but you do have the chance to change this around if needed. In fact, the content rows alternate as purple and white, so it’s not as dominant with the only purple color. Moving on from the colors, the Audaz theme has a beautiful slider with overlaying text and buttons. This way, it helps with implementing call to actions and showing people what your site is for. The various icons go well with columns, considering you would most likely use these elements to talk about products or services. 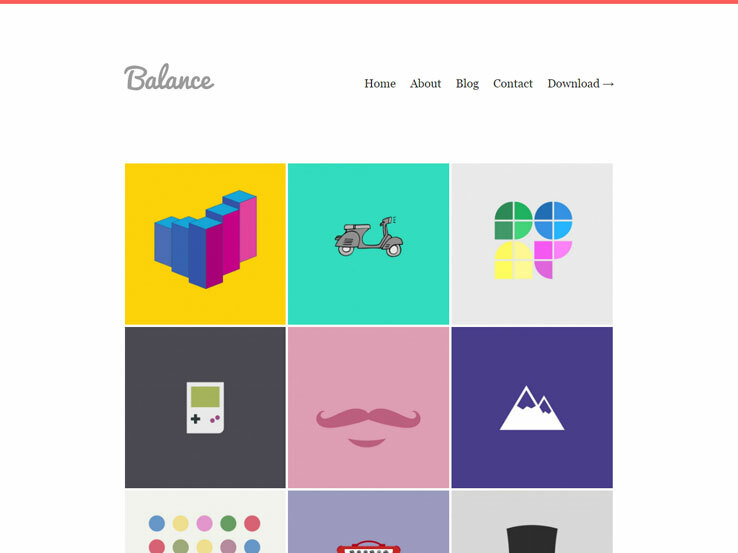 The theme also has a solid portfolio with grid elements. Users can click on a button to view all of the projects, or they can simply take a look at the three that are located on the homepage. Your latest blog posts also go on the homepage, with featured images, titles and descriptions. Keep in mind that even if you have an eCommerce shop or a business website, the blog is one of the easiest ways to boost your SEO. The social media buttons work as widgets, and they are branded nicely for fitting in with the current structure of the theme. Not to mention, you can share a slider with images of your current clients, or the companies you have worked with in the past. 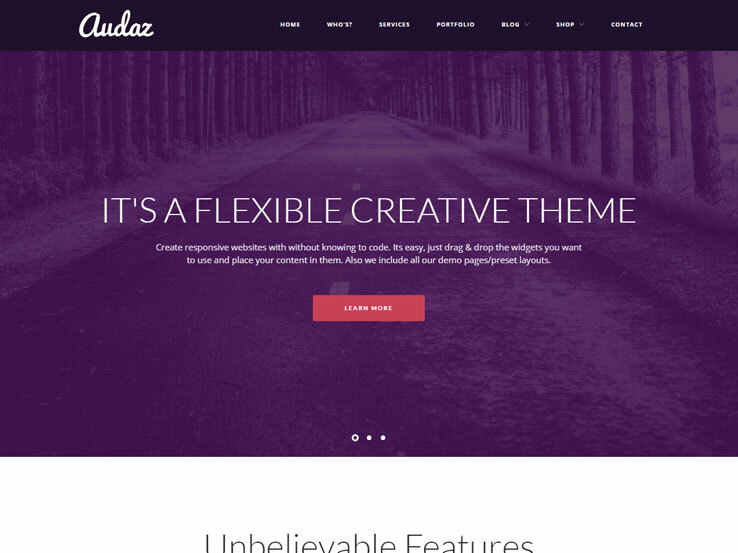 Along with interesting backgrounds and powerful branding tools, the Audaz theme is one to keep your eye on.